A defining moment that propelled me forward on my personal spiritual journey was reading Out on a Limb, Shirley MacLaine’s 1983 autobiographical accounts of her own spiritual journey. My quest has led me down many revealing avenues, exploring so many possibilities, that they’re far too numerous to even begin to list. It seems fitting that at this point in my journey, I re-found Shirley (though she was never really lost to me), by way of her latest book, I’m Over All That. I know how far I’ve come, there has really been no turning back for me, so it was with great anticipation that I sat down to read her stories and to see where the last three decades have led her. Will We Ever Get Over the Akashic Records? She never pulls any punches, always saying exactly what she feels and thinks. The book has no index, so not knowing what to expect next, I was curious when I got to the chapter “Will We Ever Get Over the Akashic Records?” I dove in with an open enthusiasm, as I have personally been aware of the Akashic Records for many years. Also referred to as “The Book of Life”, references to them go back to antiquity. They are non-denominational and have no ties to any religion or Church. Those who believe in them claim they were used by ancient peoples around the world, including Indians, Tibetans, Egyptians, Persians, Greeks, Hebrews, Christians and Mayans. The belief was that there was some sort of celestial tablets that existed containing both the history of mankind, along with all spiritual information. Even the Bible mentions these records as “The Book of Life” in both the Old and New Testaments. The Akashic Records are, simply put, the knowledge of all things. Akasha is the Sanskrit word for sky, space or aether. They are defined as the primordial source energy that is imprinted by each soul as it travels on it’s journey from inception to the present moment. Each person also has their own record of their soul’s journey—all past, present and future information is recorded there. Call it your individual personal library of your soul’s journey. Like silly putty, it is imprinted with everything. Intriguing idea. Everything that has ever occurred is recorded; each thought, word, action, feeling and intent of every person. Like a huge cosmic world wide web that has existed since the creation of the universe, each of us has our own etheric web page which when accessed, can guide us, helping to clear karma, contracts, and vows. Respected scientist Ervin Laszlo also referred to them as the A-Field in his book, Science and the Akashic Field: An Integral Theory of Everything. Some people access them through doing a past life regression. I believe an experience my daughter Lani and I had many years ago might, in fact, have been us accessing our Akashic Records simultaneously. At the time, our house had been burglarized and one day, a few weeks later, my very young daughter and I were talking and she said to me, “sometimes I think you’re a burglar with my mommy’s face on.” I didn’t understand and tried to reassure her I wasn’t. But, after doing a guided past life regression, we all saw the same scene from a previous life, where in fact I was a burglar and had frightened a sleeping child, who my daughter was in that lifetime. The fear and trauma were somehow cleared. Interesting. The entire experience was so profound that I wrote about it in my book Confessions of a Middle-Aged Hippie. Personally, I’m very fortunate that my good friend Lisa Barnett is a certified Akashic Record teacher and consultant, with her own school Akashic Knowing School of Wisdom. How lucky am I to have my own personal guide who leads me into my Records. We’ve done numerous readings which have helped me to clarify many things. After giving her permission and saying my full legal name, she uses a sacred 50-year-old prayer brought forth from the Mayans and opens my personal records. It is that easy to do. Now, I’m ready to ask any and all my pressing questions and receive direction from my Lords, Masters, and Teachers. The Dalai Lama has referred to those that govern and protect the Records as a group of nonphysical light beings called Lords of the Records. Although I haven’t done it myself yet, Lisa specialized in teaching how to access your own records, which is the way I read Shirley MacLaine works with them. The list of well-knowns who have claimed to consciously use the Akashic Records includes Alice Bailey, Nostradamus, Rudolph Steiner and Edgar Cayce. Edgar Cayce, himself a Christian, when asked in an interview, stated that the Akashic Records and God’s Book of Life were one and the same. Imagine the possibilities that accessing your own records can have for you! You’re free to ask about virtually anything. Once opened, you can understand and clear past karmic energy that might be creating any current life blocks and stopping you from moving forward. From love and relationships, abundance and money, to health or career; if there is something you are curious to know about, ask and you shall receive an answer. I had my own recurring money issue that came up yet again, and in a session with Lisa, we identified where it originated and I do believe, cleared it forever. What a relief, as it was a really long time coming. Although these ideas might be new for some, and fodder for non-believers, I point out that even Hollywood has included the Akashic Record theme in films. Think of Albert Brooks in Defending Your Life or Kirk Douglas in Illusion. Or more recently, The Adjustment Bureau with Matt Damon and Emily Blunt. Maybe for some, but I’m definitely a believer—regardless of the wardrobe. Are you? Most interested in hearing your thoughts on reincarnation, karma, and the Akashic Records. postscript 2016: Although this piece was originally written in 2011 and I’ve updated it to be current, the information about the Akashic Records does not change. They are infinite and timeless. If you’re interested, Lisa has released her first book The Infinite Wisdom of the Akashic Records, where you can learn more about them and how to access them yourself! I have had a couple of sessions with an Akashic Records reader but not much came of it. I have also read a couple of books. I’m a believer for sure. Yes, it’s true about the Dalai Lama and no one questioning his beliefs, but I think it’s more to do with his vibration than his wardrobe. And Ms MacLaine can certainly be abrasive at times. Thanks for sharing about your own experience with Akashic Record readings, Madonna. My experience is that at different times, the results are aligned with where we are at in our own life. Yes, the energy of the Dalai Lama is quite different than Shirley MacLaine’s, although I think she is referring to how much criticism she has received for so long, as a spokesperson for spiritual beliefs that were not considered commonplace when she began the conversation. She is definitely outspoken and says exactly what she wants, how she wants to. As a believer, like you, I somehow welcomed her ideas back in the 80’s and found I was curious to know and learn more. Beverley I loved Out on a Limb , but have not read I am all over that- so off to the Libray to get it today 🙂 I have had my Akashic Records read for me, time to pull them out and reread Will check out Lisa’s book. Someday I will do it. I will dig into the Akashic Records. As much spiritual work I have done, this one is still left for me to discover more deeply. Sometimes I think I avoid because I can quite say it right. Ha, an excuse when wearing the other wardrobe surely. But, iIt has been on my mind on and off for years. I am a lover of the Dalai Lama and was always intrigued by Shirley Mcclain – I loved her eccentric and electric personality. Perhaps that is the missing piece of what’s still feeing amiss….maybe it is time. As someone who I see is on an ongoing path of discovery and growth, I think that if the Akashic Records resonate for you, it is a great idea to explore them for yourself. If it has been on your mind and continues to return to you, maybe it is a great time to dive in and see what is revealed. The clearer your questions, the more powerful the answers will be for you. Yes, I’ve always liked Shirley MacLaine as well and think she tells it like she sees it and never pulls any punches. Thanks for sharing, Teresa and good luck with your reading if you choose to do one! I found this such interesting reading, thank you Beverley. I didn’t know all the history behind the Akashic Records, and you’ve written about it so clearly and in a way that is very accessible, so thank you for that. Funnily enough, I actually took Lisa’s basic course (via recordings not in person) when I was first having my awakening experience. There was a wonderful prayer of forgiveness we said for 33 days, which I felt cleared so much stuff in my field. I also have the feeling that it was in part thanks to dong this course that I have been able to connect with high vibrational guides and angels. I’m sorry to say I didn’t keep the practice of going into the Akashic Records up, but it is a course that I’ve always thought I’d like to go back to and do again at some point. Thank you for sharing your experiences from doing Lisa’s course, Julia. I know she would be very happy to hear how much it contributed to your spiritual journey. Even though you haven’t carried it on, I believe that the connection to your higher vibrational guides and angels could be a result of the work you did, too. Happy that you found this piece brought some new info and ideas to you as well and I think when you are ready, you will most likely know when it is the perfect time for you to go back and pick up that work again! Fascinating Beverley. I really liked the quote you referred to, “I find it fascinating that his beliefs in the soul’s journey through time (reincarnation) never elicit cynicism or derision, but that same belief from a Westerner who works in show business elicits derisive smirks. Maybe it’s only a matter of wardrobe.” I believe this is true. Take out the reference to someone who works in show business and it’s easy to see this in practice where I live with those who devote themselves to studying the spiritual aspects of the Hawaiian culture. Thanks for the inspiration! Thanks Marquita! Happy you enjoyed the Shirley MaClaine quote and how you saw it related to what you experience with the devotees who study the spiritual aspects of the Hawaiian culture. I imagine this is true in many places with many who are caught in believing that their way is the only way when it comes to spirituality and what might be the truth. Glad you found this piece fascinating and could relate to the content too! I first learned about the Akashic Records while reading Dorris Cannon’s book in 2001 and I was fascinated because in Hindu mythology or faith, we have Chitra Gupta who sits near God and who maintains a record of all our doings during a particular lifetime! Since Hinduism accepts reincarnation and the concept of carrying forward karma and prarabdh (facing the consequences of previous lifetime karma in this lifetime) there would be a record of all our lifetimes! A few years back, there was a popular program on one of the Indian tv channels where they did past live regressions with the help of a qualified regressionist and it was amazing. More reason to make sure we pay attention to our actions in this lifetime for a clean Akashic Record. It sounds like your discovery of the Akashic Records resonated with your own learnings and beliefs, Vatsala. I love the HIndu mythology idea that Chitra Gupta sits near God and maintains a record of our lives. This is very similar to the Akashic Records Lords and Masters. I know how curious a person you are, and I imagine learning new things through reading, or the TV show you mentioned broadens your own beliefs and brings new ideas to add to your already broad repertoire of life learnings. Thanks for sharing a little bit about your tradition and learnings as well. I really enjoy and appreciate it! I first heard about the Akashic Records from my ex, and reincarnation always fascinated me, before I actually studied it. I like the idea of the energy that is me, being who I truly am — and I like the idea that this energy is here, in this body, living this life here on Earth for a reason, whether it be karmic, or otherwise. Thanks for sharing that you also have similar experiences to mine in clearing karma and understanding past and current life connections, Reba. I am a curious seeker, so like you, I find it fascinating and insightful to explore and learn more about myself and the world around me. I do not believe there are any ‘accidents’, as I see how there is an interconnectedness in all that happens. I have worked through a few of my records with readings… it was helpful but scary to me in some ways. But I think it did give me some great insights and I appreciate the help and guidance it gave me. I do understand the ‘scary’ aspect of it, but ultimately if your readings helped gain insights and understanding, that is the important result. Appreciate you sharing about your own experiences with the Akashic Records, Kristi! Thanks for this perspective, Beverley. I guess I’ve reached a point in my own spiritual journey where it’s not so much a question of whether or not the records exist or whether or not past lives are real, but why we continue to believe we can’t access them ourselves at any moment, anywhere we are. Aren’t those flashes of insights we get in moments of connectedness or instant recognition when we meet another person for the first time glimpses of the records? It is an open book, available to all of us to read, whenever we seek the answers. One of the things I love about Lisa, is that she is very committed to teaching others how to access their own records. So yes, I do agree with you, as it is something we all can do on our own. I now believe that the past life regression my daughter and I did, was most likely us accessing our records together. I don’t think I ever doubted either, however, as we travel on our own spiritual journey, certain things pop for us to explore. Part of what I do know, is that often life issues keep us stuck and somehow when we can see the origin of them, (either in this lifetime or a previous lifetime), we have an easier chance of clearing them. And then of course there is our destiny path and sometimes there are lessons we have agreed to have to learn things we need to learn in this lifetime. Those issues are the catalysts! Thanks for your openness and acceptance, as it sounds like you are very clear in your own understandings. Appreciate your contribution to this conversation. Very interesting! I had not heard of the Akashic records. I want to learn more! Thanks for another interesting read! Glad this tweaked your interest, Kimberly. The little I do know about you, I sense that you are very open to exploring more about life and the Akashic Records are quite fascinating to learn more about. Enjoy the learning journey. Hi Beverley, Thank you so much for tagging me to know about your blog post. I don’t work much on Fridays and have been giving myself more and more personal growth time. I am still processing so much of this incredible piece. There are many dynamics about my soul, my personality and those feelings of more than deja vu – there are moments when I know that in this life time there is no possible way that I could have experienced something and then to have the image of another time or place so clear. I am in utter awe. I believe that there are those with past lives, there are those with incredible gifts and are so deep that without unlocking the soul you don’t understand them. I used to fear those feelings or the predicted events from my dreams. Now I embrace them, journal them when I can or know that there will be a moment that it all makes sense. Thank you. Happy to hear there was something in this piece that brought up some new avenues for you to explore about yourself and the soul, Patty. I ‘knew’ very early on that it didn’t make sense to me to have only one lifetime and it wasn’t until I was in my 20’s and 30’s that I started my own spiritual seeking. I am happy that you are open to everything you shared here, as no one really has definitive answers for us, but ourselves. Keep exploring and keep healing yourself. Happy you have “new vision” thanks to your glasses too. Bev – I had never heard of the Akashic records before this. Thanks for exposing me to this. I think Shirley McClain is an absolute genius, and it’s people like her who make me temper any negative thoughts about reincarnation. I mean, I know she’s at least as thoughtful and intelligent as I (and probably much more so) so if she believes in it, I figure I should keep my mind open. Glad you found this article helpful and something new for you Joan. Yes, Shirley is quite something. Never afraid to say what is on her mind and to share it with us all. I have always been curious about spirituality and the idea of multiple lifetimes, so she was in some ways my indoctrination into my own exploration of these things. Glad you are living life with an open mind. It really makes us so much more receptive to all possibilities. I worked many years as a hypnotherapist Beverly and always enjoyed it when I could work with past life regressions. Not everyone was receptive to the idea of past lives, so I would couch it as a story your mind wants to tell you in the best way you can understand. That seems to work and we would clear up the issues. Thanks for talking about a topic that is still new to a lot of people. Thanks for sharing that about yourself, Joyce. Fascinating to know that you spent time as a hypnotherapist and that you enjoyed working with people and doing past life regressions. You’ve had a varied set of experiences and they always sound interesting. Yes, there are people who do not believe in reincarnation, although the little I know about major religions, I see that reincarnation is a common theme in many of them. I like the way you approached it with non-believers and also hearing that the issues cleared. It is a relatively new idea for many people, although I do see more receptivity as the consciousness is being expanded. I am definitely a believer in past life regression and have had my own interesting moments and flash backs. The whole spiritual aspect of life has fascinated me for years! It’s strange how we always have some sort of knowing or intuition to what really is, but we are masters at resisting and preventing life flow. I’ve never heard of Akashic records, but now I’m interested! Happy to hear that you’ve had your own experience with past life regression, Gilly and also interesting moments of insights and flash backs too. I think once we acknowledge our interest in the spiritual aspects of life, it really offers us an opportunity to explore new ideas and concepts from a place of wonder and not cynicism like you mention. We humans do have our moments of resistance and do stop ourselves. I would encourage you to explore your intuition and if the Akashic Records interest you, to explore them further. When I first read this blog I was less familiar with some of its content. I am not a follower of spiritual practices but have become more aware of them. I’m attracted from afar. Thought provoking, as always. It’s nice to hear that you are becoming more familiar with some of the spiritual concepts and practices as you open to them, Roslyn. I think your attraction from afar allows them to come closer too. Appreciate hearing that you found this thought provoking too! I’ve heard of The Akashic Records and have had some work done on past lives to clear karma. My parents were very into this and I had some instances where it needed to be done for my health in this lifetime. I believe it’s hard to explain and just needs to be experienced with an open mind to truly understand. I always love hearing about your parents, Sabrina, as it sounds like they were very open and brought many cutting edge ideas into your home when you were growing up. I’m happy to hear you’ve worked with your past lives to heal health issues in this lifetime. I now how powerful that can be for us, especially when we cannot clear them easily in this lifetime, or find the root of them. It is hard to explain, but it the consciousness is opening up to the ideas and I see and hear more about them now as well. Yes, to experience the transformation is one of the best ways to understand too. Beverley, I always enjoy your blog posts. I learn so much about many other beliefs and objects I had never heard of. No I have not heard of the Akashic Record. No, I don’t believe in it because I don’t believe in reincarnation. I am a unique soul created by God. However, I find other ideas fascinating and can see if you believe how that could help you get past blocks. Thanks so much Karen! I appreciate hearing that you enjoy my posts. I agree that if we are open, we can learn a lot about other beliefs and new ideas that we haven’t been exposed to before. The Akashic Record is referred to in the Bible as The Book of Life and has been talked about throughout history in different ways. I respect your belief and like you, I also find other ideas fascinating and always stop to take a look and see how they resonate with me. Thanks for being open and somewhat curious at least, Kristen. We are exposed to many new ideas and whether we take it up or not is up to us. Appreciate your wishes form my mother and family too! She’s doing well. Another interesting and thought provoking post, Beverley. I grew up hearing about the Book of Life from my mother, who was always soul searching. I truly believe that every thought, intention, and action is recorded and we can have access to it all if we seek to do so. I loved reading Out on a Limb years ago. Don’t know how I missed I’m All Over That but I can’t wait to read it. I love your response to this post, Tami! I also believe that everything is recorded and accessible to us. Some do not fathom this idea, but it makes so much sense to me. Yes, I have been curious about Shirley MacLaine since her first book came out and this latest one, is very “her” at this point in her life. Enjoy it! Interesting article. I’ve never heard of The Akashic Records. I have heard of the term Book of Life – thanks to one of my recent fave fiction trilogys out there – Deb Harkness’ All Souls Trilogy. I’m gonna have look into the Akashic Records now. Thanks! Sounds like your favourite fiction trilogy writer, Deb Harkness knows all about The Book of Life, which are also the Akashic Records. Gald you’ve had even a taste of an introduction to what is possible through accessing them and love to hear what you uncover once you do check them out, Hazel. This subject has always fascinated me. My spiritual journey started when I got divorced. I had to make new dreams, goals, etc. and I started learning about ME. I went down many paths and worked with different people, learning differing things, such as meditation which helped me keep centered. Today, I still have conversations with my guides, angels, family, friends & loved ones who have crossed over.I hear them and feel them; especially when I need them. I have a teacher who grew up being trained both by her catholic parents and her Dakota grandfather and learning ancient indian ways is amazing. I always carry the power of the 4 winds. Thank you for sharing this insightful post. I have never read Shirley MacLaine’s books, though they have interested me; I think I’ll get them to read. Thank you Tamara for sharing your stories, as I am always fascinated to hear where people are led and how that shapes their lives. It sounds like you’ve had a lot of varied experiences that somehow all contribute to your overall journey. I believe that all of us have a moment in our lives when we realize the “spiritual” part of us, is our authentic guiding source. Once we tap into it, we can experience life with much fuller and wider dimension than merely on a physical plane. Sounds like you are able to call on those who’ve crossed over and know they are there all the time supporting you. I truly believe I am always guided and the more I trust the spiritual world, the more my life flows. Let me know your feedback if you do read any of Shirley MacLaine’s books, as she has been sharing her spiritual journey for a very long time as well. Appreciate your openness to share with us all, your spiritual journey! I have never heard of the Akashic records. I found this very thought provoking and informative. I was just speaking with my fiancé today about how most of us struggle with our spiritual journey and then I read your article. I would love to learn how to access my personal records. Thank you for sharing. So happy this piece came at an appropriate time in your spiritual exploration, Sharise. Although many people have not heard of the Akashic Records, most people have heard of The Book of Life and they are one and the same. My friend Lisa not only does consultations, but also teaches how to open your own records and has a new book out that teaches this as well. If this continues to interest you, let me know and I can connect you with her. Thanks for adding your thoughts to this conversation. I love the idea of having access to the inner-workings of my soul, imperfect history, teachings, and the possibility for a deeper connection. I’d love to meet your friend, Lisa Barnett, one day, and learn of my Akashic records. Glad this post opened some new ways of looking at your life and your soul contracts, Renee. I personally have found working with Lisa in the Akashic Records, has been not only fascinating but also transformative. Lisa is very available, both in person, by phone and by Skype. She also does teleseminars and webinars, so technology makes all things possible, even when you can’t meet in person. Happy you learned something new in this piece too! The Akashic Records are quite fascinating and have been referred to throughout history as The Book of Life. They do offer a way to explore your soul’s journey and from my experience, can be both revealing and healing. Happy to hear you enjoyed reading about them, Joan, as in all our lives, learning something new expands our possibilities in life. This was really intriguing. I had not heard of the Akashic Records but I have definitely heard of the Book of Life. I find it interesting that this type of soul-searching, spiritual exploration seems to be a resounding theme among my conversations and things I have been reading lately. Perhaps the universe is attempting to tell me something. Just yesterday I had the pleasure of watching a TEDx talk by Carolyn Gable in which she spoke of a God-given toolkit that we are all blessed with when we are born. In the toolkit is faith, courage, understanding, confidence, etc. and we can each pull from the toolkit whenever we need; however, some of us don’t take the time to hone and sharpen our tools. Thanks for a mind opening article. It’s true that the mind is quite like a parachute. It only works if it opens. Life is very interesting when you see synchronicities showing up like this in your life, Niquenya. The Book of Life and the Akashic Records are one and the same, and sounds like this recent TEDx talk is offering something very similar in its content, although presenting the ideas in a different context. I’m delighted you found this one mind opening, as you say, having an open mind does offer us unlimited possibilities and opportunities to grow and learn. I’m going to watch Carolyn Gable’s TEDx talk too. Sounds fascinating so thanks for sharing about it! Perhaps the Universe is telling you something. I would trust that thought and the supporting “evidence” that is showing up here on earth. Enjoy your explorations! An intriguing subject on which the jury is still out on for me. I delved into the subject manner a while ago in an effort to get a deeper understanding into what I deemed were some blocks in my life and also find answers to family connections and circumstances. After some introspection that unfortunatley drew blanks, I wondered if perhaps I could unravel secrets to my Soul that may shed some light on my search! I embarked on a mission to find answers and discovered Akashic Records. I was intrigued to learn that every thought, word and action is stored as an energetic event extending to previous lifetimes, in a database on the etheric plane of existence. I thought much about past lives but somehow the idea of us carrying baggage from a previous life to our lives today lead to more questions than answers. If I was a thief in a previous lifetime for example, a different time, circumstances, inclinations etc, what does that have to do with what I do today? Am I not creating my future in every moment, and not as a result of the wrongs of the past, particularly as far back as in another incarnation? Must I right those wrongs as well, even though I have no conscious knowledge of them? I am somehow uncomfortable with any reward and punishment paradigm, especially one that seems to dispense, blockage, restriction, recurring pain based on the clandestine events of the past. However, saying all of that, I do believe in past lives and have read about past life regression from the expert in this field Dr Weiss, author of Many Lives, Many Masters. I am learning that the events, circumstances and challenges are presented to help us to learn and grow. The idea that some of these events, circumstances and challenges are not conscious or exist on the physical realm of existence, seems unjust and contradicts my own belief that we can only change what we are aware of. It is a very interesting exploration for us all, Michelle. I’ve also read Dr. Weiss’ book and believe that sometimes we do bring certain “karmic agreements” into this lifetime, primarily in my understanding, to have the opportunity to heal them. The example with my daughter would have never been allowed to heal if the situation had not shown up to “remind” her of our relationship in a previous lifetime. Not all our blocks in the present lifetime come from this lifetime, in my own experience. 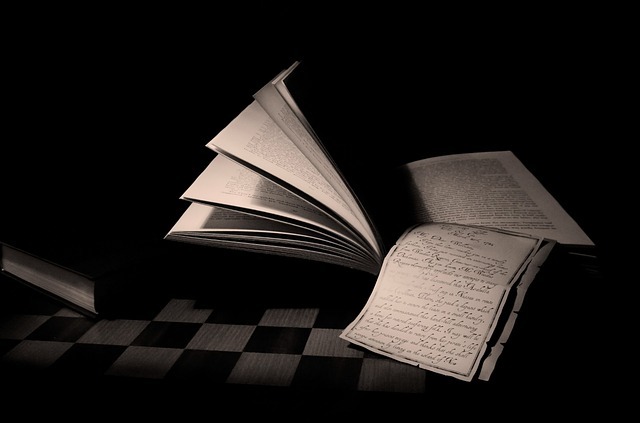 The value of the Akashic Records is to uncover what might be creating the discord or disconnect in this lifetime. I’m like you as well, in not 100% knowing how much of this we are to know in the present lifetime. How do we heal what we don’t know? The money issues I had really were cleared by doing a few sessions in the Akashic Records, so from that perspective, I am grateful. I love how you are questioning and open to exploring what resonates for you. That has always been my stance as well…to explore something if I am curious and it speaks to me. Glad that this piece re-opened something in you to explore further and that you saw it as a “nudge” at this point in your life. Glad you enjoyed the read as well. Always appreciate your thoughtful comments. I have never had a reading despite urgings of friends. I love reading this post as it educates, excites and creates curiosity.Anything is possible. Readings are very interesting, Roslyn, so I will also encourage you to consider one. Glad you learned something by reading this post and that it stirred your curiosity to. Yes. Anything is possible!! One thing I love about your blog posts, Beverley, is that they’re always thought provoking. Learning about our past to address current issues shouldn’t seem like such a novel idea; yet, how many of us need a nudge to get on that track? Thanks for the post and the nudge!! Thank you so much Deb! It is wonderful to hear that my posts are thought provoking. As a “complacency shaker”, my intention is to get people questioning and taking new actions based on those explorations. For many of us, the past does unconsciously influence the present, so clearing those old patterns, no matter how you choose to do that, really frees us up to move forward unencumbered in our lives. Appreciate your receptivity to the nudge too! Hello Keyanna. I’m glad that in this minute you may not be confused anymore. 🙂 Thanks for posting your comment. Every one should access their records either through a reading from another or learn how do it for themselves. There is so much valuable insights you can get about your life that it is well worth it. Every reading that I have done for someone has given my clients direction and clarity. They have all been very grateful for the information from the Lords of the Records, their Masters, Teachers and Loved Ones. If you haven’t utilized this resource in your life, I highly recommend it! Thanks Robert for your insight. Having had many readings myself I absolutely agree with you. Glad to hear you are doing readings and that all those you are working with are grateful for the direction and clarity it brings to them. It is so good to hear of others who are working with the Akashic Records as well. Appreciate you joining in the conversation. Thought it wuoldn’t to give it a shot. I was right. Thanks I think Scout. I guess this means you tried it and you got some insight? Hope you had a good session. Cheers.